Looking For A Professional In WordPress Website Design? See our hourly rates and prices! WordPress Website Design. Many of our website clients want the ability to easily add, edit, update, and delete text, images, and pages on their website. With a WordPress website, our clients can easily manage their website content. 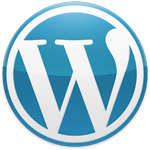 WordPress is a website content management system (CMS). A CMS is website software that allows you to manage a large or small website. For example, with WordPress, you can edit web page content, add images, add new pages, and even add new menu links. All you need is a computer connected to the internet and a browser. No special software is required. And you don’t need to be a website expert! Need WordPress Hosting. I recommend Bluehost for WordPress hosting. WordPress is free software. You can download and use it for free. WordPress uses templates and styles to control the appearance of your site. That way, you don’t have to worry about design and can concentrate on writing content. You can quickly and easily edit the content of your web pages. Editing with WordPress is simple; WordPress has a simple editor much like a simplified version of M S Word, something most people are familiar with. WordPress has thousands of plug-ins that you can install to add new functions to your site. For example, you can add a photo gallery, a calendar system, or a shopping cart. If you can think of it, there is probably a WordPress plugin to do it. You can update WordPress software and its plugins by clicking the update button. What’s more, WordPress will notify if WordPress or any of its plugins need to be updated. WriteNowDesign can help you create a new WordPress website or migrate your existing website to WordPress. WriteNowDesign can also help you update or maintain your existing WordPress website. And if you need WordPress training, we can help with that too. We provide live, online training taylored to your specific needs. See our hourly rates and prices.